These guidelines provide the minimum requirements for the safe conduct of Recreational Paddling activities. This document gives a guideline to help operate a safe fun paddling activity. All Leaders are responsible to ensure that they undertake a thorough risk assessment prior to activities to ensure that additional requirements are considered and if required undertaken. These guidelines do not apply to competitive paddling such as Flatwater Racing, Marathon Racing, Ocean Racing, Slalom Racing, Freestyle, Wildwater Racing, and Canoe Polo. Requirements for the safe conduct of these activities are detailed in the applicable competition rules and other relevant policies issued by the ICF and PA. The guidelines do not address the many varied requirements of State and Federal Legislation, much of which applies to general boating activities and not just paddling activities. PA Leaders are required to know and operate in their leadership capacity in accordance with these guidelines. Likewise, PA National Training Providers must operate in accordance with these guidelines. (a) All on-water activity involve a level of risks and hazards, most of which can be eliminated by thorough planning, good Leadership skills and effective management. add to the enjoyment of the participants. establish minimum standards for different grade activities for the qualifications of Instructor or Guide, participants, boats and equipment, communications and the management of emergencies. AC – Australian Canoeing Inc.
Guide – A person who leads or guides a group without the intention of imparting skills or knowledge beyond that which is necessary to participate safely and adequately in the activity. At the end of a session or program with a guide, the intent is not for the participant to have acquired the skills to independently participate in the activity. ICF – International Canoe Federation. Instructor – A person who facilitates skill transfer or development to participants in order that they may act independently or with minimal supervision. This requires the instructor to be able to critique technique, apply a variety of appropriate instructional strategies and may require them to assess participant’s skill acquisition at the end of a program or session. Leader – A person giving direction and guidance to a group. This includes, Instructors, Guides, leaders and Lifeguards. Participant – A person who participates independently or under supervision in an outdoor activity. The ability to demonstrate participatory skills to the appropriate standard is a pre-requisite to performing as a Guide or Instructor in outdoor recreation. An activity plan assists a leader to identify and achieve a programs goals and objectives while helping to foresee and minimize risks and hazards. There are many ways to develop and record an activity plan and everyone and every organisation will have its own way. Below is a list to consider in your planning that will help you develop a plan that will help maximize an activities success and reduce risks to participants. Having the ability to gain an up to date forecast is vital to any planning and risk management while in the field. Forecasts can be gained form a number of locations including, news papers, radio, Marine VHF radio and internet. Bureau of meteorology (BOM) is the Paddle Australia recognised source of weather forecasts www.bom.gov.au . Ensure that you have a system in place to gain forecasts if you are on a trip. When paddling in poor visibility considerations should be made for your own and the group’s safety. Considerations should include but not limited to. The risk management process should be directly applied to the management of safety risks associated with planning organised paddling activities and must be undertaken prior to each organized activity occurring. Paddle Australia recommends all foreseeable risks for a program should be identified under logical headings People, Equipment and Environment. These risks should be rated in the level of risk by using a documented likelihood verse consequence table. The hazards that then lead to these risks can be identified and a management strategy determined to minimise the likelihood or consequence to achieve an acceptable level of risk. PA Leaders are educated in Risk Management processes. PA recommends that all personnel or organisations conducting paddling activities develop an Emergency Management Plan that allows them to establish a programmed response to incidents that reduce the consequences should such incidents occur. The persons or positions with which a leader should communicate or report to, in the event of an emergency response. Emergency responses in outdoor environments can be assisted by various technological modes of communication. These may include mobile phones, radios, satellite phones, PLBs and EPIRBs, etc. While all can assist in the activation of an emergency response, consideration should always be given to their limitations (e.g. mobile telephone network coverage, battery failure). post incident management: contact of insurer, legal procedures, post incident trauma counseling. PA recommends that for every trip that leaves the immediate launch area, details of the participants and the trip should be lodged with a responsible person or authority so that in the event of an emergency, a detailed description of the group and its activity is readily available. PA refers to these details as a Float Plan. For trips, full details of the route and any contingency plans should be noted. Check all equipment on return. Before commencing the trip, it is the Leader’s responsibility to ensure that each party member has the knowledge, ability, skill and equipment to participate safely. In addition to achieving the minimum level of competence, PA Instructors and Guides must re-register with PA. Accreditation re-registration is a policy that requires PA Instructors and Guides to undertake a prescribed amount of continuing education. Re-registration is required to retain any rights as an PA Instructor or Guide. to provide an avenue for post accreditation servicing. All PA Instructor and Guide awards are valid for three years from the date of accreditation registration or re-registration. Instructors and Guides are also required to comply with and observe the constitution, by-laws, and regulations of PA, including the PA Member Protection Bylaw and these Safety Guidelines. A Statement of Attainment, listing the achievement of units of competence under the National Outdoor Recreation Industry Training Package, is recognition of learning and not always a demonstration of current skills and knowledge. 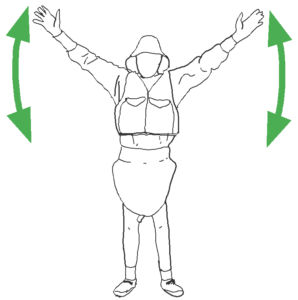 Holding an PA award demonstrates currency in technique, safety, injury prevention and enrollment in ongoing education, and is the appropriate registration for a paddling leader. First aid qualifications, personnel requirements and equipment/kit requirements are regulated at state level by the work cover of OH&S government regulatory body. All Instructors and Guides should have a current state government regulating body approved first aid qualification. All Guides and Instructors should carry a first aid kit that contains the appropriate contents for the activity or trip. PA also recommends that trip Instructors or Guides should hold a current wilderness/remote area first aid certificate, in addition to their first aid qualification, for any trip, which is, at any point, more than one hour from medical attention. Leaders and participants should use an agreed and understood system of communication. PA recommends that the National Standard Signals be understood and used by all paddlers. Details of the National Standard Signals can be found in Appendix A. Prior to any program, it is the responsibility of the leader to brief the participants on a number of factors to help ensure a safe, fun, successful program. This briefing will help participants understand the expectations of the program and decide if they still wish to participate. Briefings may include but not limited to. Large groups may be split into smaller groups to help with many of the factors above, but all groups require individual planning and leadership. The following ratios are provided as a baseline for the calculation of operating leader/guide to participant numbers. A risk analysis must be conducted for all paddling activities to determine the appropriate ratios for the group and its activity. In adverse weather, the conditions on a large body of inland water can become dangerous due to large seas, overtopping waves and strong gusts of wind. Water temperatures, even in summer, can be quite low. Control of a group can be rapidly lost as conditions deteriorate, and capsizes occur. Under such conditions, it can be difficult to keep the group together unless they are able to respond skillfully and effectively to instructions: the larger the group, the more so. 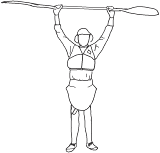 The starting point for determining the ratio of leader/guide to participants for conducting group paddling activities on inland water are 1:6, or 1:8 in double craft. planned trip will stay close to an easily accessible shoreline. Communication problems caused by water noise, helmets covering ears, and a shortage of safe, ‘assembly points’, will always make the management of a large group extremely difficult. The value of a qualified assistant (to bring up the rear, or pre-shoot a rapid, or deal with individual problems) cannot be over-emphasised when paddling on moving water. The acceptable ratio for conducting group paddling activities in moving water up to, and including, Grade 3 is 1:4.
egress is required above more hazardous sections. appropriate group management is applied so that only one participant is at the crux point of the rapid at any time. The effect (not always obvious) of winds and currents on novice paddling groups at apparently benign- looking beaches, can be dramatic. Local knowledge, and experience in this type of environment is vital for leaders. Control of a group at sea can be rapidly lost as conditions deteriorate, and capsizes occur. Under such conditions, it can be impossible to keep the group together unless they are able to respond skillfully and effectively to instructions: the larger the group, the more so. Some tidal estuaries, whilst sheltered at times, at other times can present severe open sea hazards. The acceptable ratio of leader/guides to participants for conducting group kayaking activities at sea is 1:6, or 1:8 if using double kayaks. the leader holds a higher qualification than required for the activity. The leader should take all reasonable steps to ensure that participants are competent to participate in the proposed activity. In this regard the leader should conduct an on-water familiarisation session to demonstrate and practice relevant skills and procedures including, but not limited to, rescue, self rescue and capsize drills. If the leader judges that a person is not sufficiently capable or responsible (e.g. by virtue of their age) to participate in the activity, then that person should not be permitted to participate. Equipment requirements vary with the objectives of the trip plan and the environmental conditions likely to be encountered. When planning equipment requirements for a paddling trip it is important that leaders consider all possible eventualities. It is the responsibility of leaders to ensure that all participants carry with them all necessary equipment for the activity. They will also ensure that they have adequate emergency supplies to handle any likely contingency. 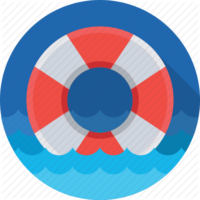 In some situations such as Flatwater Lifeguards operating on very small bodies of water it is sufficient for much of the equipment to be available on shore and not carried in boats. These Safety Guidelines are concerned primarily with recreational craft, not those used in competition, where rules govern safety features, use of rescue craft, etc. All craft should be used in the environments and conditions for which they were designed. Open canoes are best suited to sheltered inland waters as they are badly affected by wind and wave. They are normally paddled with single blade paddles. Those used on whitewater, up to Grade 2, are fitted with large airbags taking up any space not occupied by the paddlers. Specialist whitewater canoes are used on higher grades. Kayaks cover a large range of craft from decked, Sit on Tops, Inflatables and more. These craft are normally paddled with two-bladed paddles. Spraydecks are used on enclosed kayaks to minimise water into the cockpit, providing better protection for paddlers to the elements and reducing the likelihood of hypothermia. Safe use of spraydecks requires training. Training in rescue procedures is required for all kayaks, and techniques vary according to craft type and environment. They are suited to flat, sheltered waters only. often have bulkheads and hatches. They are suited to open waters such as estuaries and bays, but not the open sea. Increases the possibility of water and salt related problems such as blisters, infection, etc. you should be able to paddle your boat, with a fully flooded cockpit, away from a dangerous situation in offshore conditions and then be able to completely evacuate the water from the cockpit in the same conditions. It is recommended that a pump or self-bailer system is fitted. Choice of pump needs to give careful consideration to the skills of the paddler, the vessel and expected operational use (expert advice in this regard is recommended). No pump system is failsafe and all pump systems require regular inspection and maintenance. Paddle craft must be constructed specifically to reduce the risk of bending, folding or entrapment. Specifically, craft should be fitted with internal supports to resist folding. The cockpit setup should be such that the craft grips the occupant firmly for maximum control and so that the occupant can exit the craft easily. Footrests should be constructed so that feet will not become jammed. SOT kayaks are a popular choice among recreational paddlers. Recovery after a capsize is easy; right the boat and re-board. On the other hand, paddlers are more exposed to the elements and more care is needed to minimise sunburn and hypothermia. Damaged or loose fittings and hatch covers or hull damage may allow the entry of water: these craft are not unsinkable. Recreational types single and double, are fairly short and wide. Being susceptible to wind, they are suitable only for flat sheltered water. Touring SOTs are longer and able to cope with estuary and bay conditions. They are favoured by the kayak fishing community. Seagoing SOTs have performance and features similar to sea kayaks but without the enclosed cockpit. Specialist SOTs for whitewater and surf use are available. On open water, tethers can prevent separation of craft and paddler after capsize. There is the danger of entanglement. This is true also of paddle leashes and fishing lines. SUPs are now in use on many types of water from flat to surf. As with SOTs, paddlers are exposed to the elements, even more so. being a ‘sit on top’ self-draining kayak. Kayak paddlers are to wear spray decks on white water and the sea. Decked canoe paddlers are to wear spray decks on white water: they are optional on open canoes. Paddles are to be appropriate for the type of craft and environment in which they are being used. Paddle selection needs to be the appropriate length, style and size for participants to enable safety and skill development. One or more spare paddle(s) shall be carried by the group as appropriate for the activity, notably at sea and in remote areas. Paddle Australia recommend that all participants wear an appropriate Lifejacket whose construction meets or exceeds Australian Standards for Lifejackets Level 50 or Level 50S at all times while on the water. Paddlers must also comply with local equipment regulations, which vary from State to State. Lifejackets should be the correct size for the wearer and be adjusted correctly whilst on the water. A whistle attached to the buoyancy aid for emergency use is recommended to enable a person to attract attention. Rescue Lifejackets should comply with the previously mentioned standards for Lifejacket Level 50S. Towing cowtails must be quick release. The Lifejacket must not contain any pocket or other component that may impede paddling, normal rescue practices or exit from craft. It is highly recommended that all Lifejackets be of a bright colour. Inflatable Level 150 Lifejackets are not considered suitable. They provide no buoyancy without action by the wearers, who may be incapacitated and therefore unable to inflate them. Waist tow systems are not recommended for use at sea because of the forces involved. Consideration needs to be given to the thickness and stretch characteristics of the rope in terms of safety, ease of deployment and recovery and repacking. Paddle parks or leashes are recommended for all participants while sea kayaking or in other exposed conditions such as large lakes. Spraycovers (also called spraydecks or sprayskirts) must correctly fit the craft and stay fitted during all aspects of Whitewater and Sea paddling. have a good system to absorb the shock from impacts and to provide a separation distance between the outside of the helmet and the paddler ’s head. A paddling helmet which meets these requirements must be worn while paddling water Grade 2 and above and while surfing and paddling among rocks or in sea caves. The helmet should be securely fixed whenever it is worn. Maps and/or marine charts, compasses, and GPS receivers shall be carried as deemed appropriate for the navigational requirements of the activity, and shall be treated and/or stored in such a way as to make them water resistant. No single navigation system should be relied upon. Where an electronic system such as a GPS is used, spare batteries and another position fixing method should be available. Basic rescue equipment should be carried where it is quickly and easily accessible. Paddlers should receive training in the use of any rescue equipment that they carry, and regularly practice its use. All leaders are to have an appropriate towing system easily accessible so that it can be deployed quickly when needed. Other participants may also carry towlines, as appropriate for the activity and at the discretion of the leader. All towing systems must be quick-release, and should be set up so that they do not restrict the manoeuvrability of the towing boat. Throw bags must be carried by all leaders on any activity involving moving water. They may also be carried by some other participants at the discretion of the leader. All participants should be trained in their use. It is recommended that a rescue knife (safety knife) should be carried by all leaders on Whitewater and Sea. Knives should be quickly and easily accessible, but it is generally not considered appropriate to carry them on the outside of a lifejacket. A basic repair kit should be carried by all leaders and by other participants at the leader’s discretion. A roll of duct tape is considered a minimum requirement. A comprehensive group repair kit appropriate for the boats that are being used should be carried on all expeditions, particularly in remote areas. All equipment used in canoeing activities should be used, maintained and stored according to manufacturers’ specifications where applicable. An equipment register is a good way to track equipment’s wear and tear as well as replacement dates. The reporting of accidents and incidents with the maintenance of an incident database allows all paddlers to benefit from the experiences of others. PA maintains records of canoeing incidents and accidents that resulted in injury or had the potential to result in injury. PA Instructors and Guides are encouraged to complete an incident report form and forward it directly to PA for processing. These records are stored centrally and regularly reviewed to identify trends. Incident and accident reporting is a valuable risk management tool that assists PA in identifying injury trends. The timely and accurate recording of incident or accident-related information can also help PA and its insurer to defend possible liability claims resulting from injuries that may have occurred during an organised activity under PA’s control. Many different reasons exist to document parts of an activity plan. These reasons can be for search and rescue situations, activity information is available and clear to all leaders and evidence for any legal proceedings. The outer layer, whether lifejacket, cag or other, should be of a colour that makes it easily visible for other water users or rescue services. Clothing is to be of a material and design that give adequate protection from the weather conditions that are expected during the activity. The protective qualities of the clothing shall not be significantly reduced when the material is wet. Suitable clothing includes but is not limited to wetsuits, dry suits, thermal underwear, synthetic fleece, and paddling jackets for cold weather, and Lycra® rash shirts, stinger suits, and synthetic water-sports shirts in hot conditions. Note that compression clothing (Skins™, 2XU™, LineBreak™, etc) provides no thermal insulation, and should not be worn in conditions where body heat must be retained. Footwear is to be accessible while paddling. It is to provide adequate protection when the wearer is walking both in and out of the water. The design should be such that the footwear cannot come off easily, especially while walking in water or mud. Heavy boots of any style shall not be worn. In situations where helmets are not worn, hats should be worn to provide adequate sun protection and/or warmth. Beanies and similar headwear may be worn under helmets to provide additional warmth. Broad brimmed and legionnaire style hats provide suitable sun protection. Baseball caps do not, and should not be worn without additional sun protection. Sunglasses and prescription spectacles should be secured with a suitable restraint. Leaders should carry extra dry clothing, as appropriate, for the participants, the paddling conditions and the duration of the activity. Eye protection from solar UV radiation is recommended, particularly in highly reflective environments (the paddling environment). Sunglasses should be chosen for their UV protection. Adequate food and drink supplies as appropriate for the nature and duration of the activity for all participants should be carried. It is recommended that high-energy foods should be carried, particularly in colder weather. Guides and Instructors are not qualified by virtue of their PA qualifications to determine the suitability of lake or river water for human consumption. The condition of water should be checked with the relevant body and if any concerns exist water should be carried or an acceptable water purification method should be used. 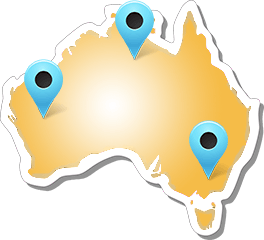 PA is the Peak National Sporting Organisation responsible for the management, coordination, development and promotion of paddle sports in Australia. One of its primary responsibilities is the promotion of safe canoeing practices. PA is governed by a Board of Directors who are elected by the six State Association Members of PA.
Plan ahead by considering your goals and those of your group. 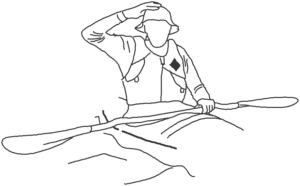 Prepare by gathering local information, communicating expectations, and acquiring the technical skills, first aid knowledge, and equipment to make the trip a success. Build Leave No Trace into your plans by picking an appropriate destination for your group and allowing plenty of time to travel and camp. Be prepared to sit tight or turn back if you sense danger or sustain an injury. That way, you won’t have to abandon Leave No Trace techniques for the sake of safety. For instance, poor planning or disregard for weather conditions can transform an easy bushwalk into a risky encounter with extremes in temperatures. Cold and wet or suffering from heat stress, it’s tempting to think that the impacts of cutting branches for shade or shelters are justifiable. Prevention by obtaining knowledge ahead of time is often an easier solution. What effect does a footstep have? A footstep means different things to a young tree and meadow grass, to leaf litter and fragile soil, to a gravelly river bank and rain forest moss. Unfortunately, trampling causes vegetation damage and soil erosion in virtually every environment. Recovery that takes a year in some environments might take 25 years in others. Other impacts are also possible. Most soils contain animals that live or feed on decaying plants. Trampling destroys habitat for insects, earthworms, molluscs, and snails, as well as the fungi that fertilise the soil and help make re-growth possible. Vegetation protects underlying soils. Once plant growth is destroyed, erosion can continue with or without further use. In general, wherever you travel and camp, use surfaces that are resistant to impact such as rock outcrops, sand, gravel, dry grasses, snow, and water. Avoid non-durable surfaces such as soft plants, riparian zones, muddy sites, and fragile soil layers. When travelling along a shoreline, hike on durable surfaces and spread out. Along stretches of coastline where there are no designated trails, hiking at low tide is generally best because the hard sand, gravel, or rock of the intertidal zone (the area between the highest and lowest tides) is exposed. In this area, be careful to avoid crushing intertidal life such as mussels and barnacles. Hiking at high tide usually causes greater impact because the higher water level may force you to walk in fragile sand dunes or vulnerable coastal vegetation. Concentrate use in popular areas In popular areas, aim to concentrate use on tracks, established campsites, and other developed sites such as trailheads and picnic areas. Concentrating use in these areas and, if necessary, on the surfaces mentioned earlier, will minimise disturbances to soils and vegetation. Stay on designated tracks. is a familiar mantra to seasoned travellers. Any user of recreation lands has a responsibility to clean up before he or she leaves. Inspect your campsite and rest areas for rubbish or spilled foods. Pack out all rubbish and kitchen waste, including leftover food. Plan meals to avoid generating messy, smelly rubbish. It is critical to wildlife that we pack out kitchen waste, such as bacon grease and leftovers. Don’t count on a fire to dispose of it. Rubbish that is half-burned or buried will attract animals and make a site unattractive to other visitors. Overlooked rubbish is litter, and litter is not only ugly — it can also be deadly. Animals scavenging a meal from a tasty smelling morsel can ingest bits of dropped food packaging damaging their digestive system. Plastic six-pack holders and plastic bags kill shorebirds, sea turtles and other marine mammals including whales. Fishing lines, lures and nets ensnare, injure and maim wildlife, so be careful not to leave any behind. Pack in plastic bags to carry your rubbish out (and maybe someone else’s). Before moving on from a camp or resting place, search the area for “micro-rubbish” such as bits of food and rubbish, including cigarette filters and organic litter such as orange peels, or egg and nut shells. People visit natural areas for many reasons, among them to explore nature’s mysteries and surprises. When we leave rocks, shells, plants, feathers, fossils, artefacts and other objects of interest as we find them, we pass the gift of discovery on to those who follow. Particularly, never touch aboriginal rock art or disturb sites of significance. It’s the missing elements of our favourite places that disturb us the most. “Leave What You Find” means retaining the special qualities of every wilderness area—for the long term. Wildfire destroys thousands of kilometres of bush each year in Australia. Many of these fires are either carelessly or accidentally set by uninformed campers and travellers. Setting controlled fires is a practice and science of experienced land managers and Indigenous people, and is based on weather, sources of ignition, and fuel. The intent is to reduce the amount of fuel in the forest under-storey in order to decrease the chance of uncontrolled hot fires and regenerate growth. In contrast, large uncontrolled wildfires set unintentionally during hot, dry windy periods can spread rapidly and result in the critical loss of natural habitat, property and human life. Along with the destructive nature of fire, the natural appearance of many recreation areas has been compromised by the careless use of campfires and the demand for firewood. Campfires are beautiful by night. But the enormous rings of soot-scarred rocks – overflowing with ashes, partly burned logs, food and rubbish – are unsightly. Surrounding areas have been stripped of their natural beauty as every scrap of dry wood has been torched. Some of us grew up with the tradition of campfires. But they are no longer essential for comfort or food preparation. Encounters with wildlife inspire tall tales and long moments of wonder. Unfortunately, wildlife around the world faces threats from loss and fragmentation of habitat, invasive species, pollution, over-exploitation, poaching and disease. Other animals flee from humans, abandoning their young or critical habitat. Still others are attracted and endangered by human food and rubbish. Because outdoor recreation is dispersed over large areas and at all times of the year, its impacts on wildlife can be equally as disruptive. All species are to some extent, affected by people visiting their habitats. We are responsible for coexisting peacefully with wildlife. Today, we must consider the rights of traditional land owners as well as share the wilderness with people of all recreational persuasions. There is simply not enough country for every category of enthusiast to have exclusive use of land, wilderness, trails, bush, lakes, rivers, and campgrounds. Yet the subject of outdoor “etiquette” is often neglected. We’re reluctant to examine our personal behaviours, least of all in the wilderness where, to many, a sense of freedom is paramount. Canoeists, like others who use the outdoors for recreation, have a responsibility to minimise their impact on the natural environment, the enjoyment of others and on public and private property. Paddle Australia Guides and Instructors agree to comply with these guidelines and any additional National Park, council or other authorities’ regulations and fire bans. These signals are widely used and understood, but should be covered in leader’s briefing before departure. Whistle signals need to be confirmed with the group prior to paddling. More or less signals can be used by a group if required as long as all have a good understanding of their meanings. 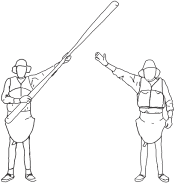 Leaders of sea kayaking activities must adopt a series of signals appropriate to the context that is simple and allows communication amongst their group in sea conditions. Those shown here are in wide use. Where appropriate, they can also be made by a paddler in a kayak. Slight variations in the interpretation of the grading will exist in each local region according to the nature of the rivers found there. Experienced local paddlers are the best source of information about rivers. The following descriptions are a basic guide to each grade. Grade 1: Easy Slow to medium flowing water with very small, regular waves or riffles. Relatively few obstacles, with an easy path to find and follow. Suitable for novices. Grade 2: Medium Rapids are straightforward with medium sized, regular waves. The path through rapids can be clearly seen from the water and is often indicated by well-defined chutes or Vs of water. There are some obstacles that require manoeuvring around, but paddlers with a good command of basic strokes can easily miss them. Grade 3: Difficult Rapids have moderate, irregular waves and strong currents. Manoeuvring is required to follow the preferred route. Small to medium sized stoppers may have to be negotiated. The route is difficult for inexperienced paddlers to see and scouting is advisable. Suitable for experienced Whitewater paddlers, with the ability to roll an advantage. Grade 4: Advanced Rapids have large waves and powerful confused currents. Drops are big and stoppers can be large and unavoidable. Fast manoeuvres may need to be made. The route is not clear, and scouting may be needed. Suitable only for very experienced Whitewater paddlers with consistent skills and reliable rolls. Grade 5: Expert Extremely long, obstructed or powerful rapids. Rapids may contain very large unavoidable drops, waves, and stoppers and turbulent, unpredictable currents. Fast and accurate manoeuvring is necessary. Eddies may be very small, turbulent and scarce. The route is complex and scouting is highly recommended. Suitable only for expert paddlers, who are willing to accept the higher level of risk. Rolling in adverse conditions is essential. Swimming is very dangerous. Grade 6: Extreme Rapids are extremely technically difficult, powerful and unpredictable. They are rarely paddled, and if they are paddled successfully they are usually downgraded to Grade 5 plus. The river cannot be paddled without severe risk to life. This Safety Code is for any current or prospective paddler written by PA Inc.
buy a craft for your children. Seek advice about which craft will best do what you want from paddling experts. Any canoe club or its members will be eager to assist. Check the craft for fixed buoyancy, comfort when paddling, strength and quality. Don’t expect to do more with your craft than the purpose you bought it for. Paddle craft are quite specialised. Be able to swim confidently and be confident in water, even with the clothing you will wear paddling. Recommended to always wear a Lifejacket (either Level 50 or 50S). Be honest with yourself about your ability. Paddling on quiet water doesn’t qualify you for more difficult trips or conditions. The waters of rivers, lakes and oceans are all very different, and demand knowledge and skill. Develop your paddling incrementally, preferably with people more skilled than yourself. Clubs are a wonderful way to do this. Beware of cold water and weather extremes. Swimming ability and lifejackets cannot counteract for long the effects of very cold water. Wetsuits may sometimes be essential for safety. Be equipped for the conditions that could occur. Secure your spectacles, have appropriate footwear, allow for protection against the sun, wind, and rain. Learn how to capsize, to rescue yourself and others and learn first aid, so that you are prepared for an emergency. Seek training. We recommend the PA Basic Skills Award as a minimum. PA Instructors are available through many canoeing clubs and other bodies. Make certain you have the right craft for the trip! Test new and unfamiliar equipment before undertaking hazardous assignments. This includes alterations to gear. The craft must be in good condition before starting a trip. If sea kayaking, carry a spare paddle in a position where you can get at it quickly. The craft, when filled with water, must be able to support its crew and sodden gear in deep water. Use expanded plastics, buoyancy bags or sealed airtight compartments. Use spraycovers whenever there is any possibility that water may come into the craft in quantity. The cover release must be immediate and function perfectly. Carry appropriate repair equipment, torch, map, compass and survival kit on wilderness trips. Leave a plan of your trip with a responsible person and an expected time of arrival at your destination. The leader should describe the conditions that could be experienced to prospective participants, prior to acceptance of invitations. The leader should not allow persons to participate beyond their proven ability, nor allow inappropriate craft to start. Before starting and at any appropriate time, the leader should make it clear that his or her decisions in the interest of safety are final. The leader nominates the functions of other group members and the formation on the water. By example the leader should impart knowledge, skill and confidence. Each participant should be aware of group plans, formations, the general nature of the river ahead, the location of any special gear and the signals to be used. The lead boat crew scouts all doubtful parts of the river, sets the course, and is never passed. The rear boat is equipped and trained for rescue. Each craft has a responsibility to the craft behind. It should not lose visual contact. It passes on signals, points out obstacles and tries to prevent its own errors being repeated. The party needs to be compact. Large formations should be sub-divided into independent groups with an overall plan. Do not travel beyond a returnable distance from shore under the worst conditions possible. Have a sound knowledge of the effects of tides. Formation positions should be nominated to prevent craft from being dangerously dispersed. Kayak paddlers, prior to an ocean expedition, should practice rolling, and all canoeists should perfect team rescue drill so that a capsized craft can be righted, emptied and the crew re-embarked. Keep calm but very much alert. Stay on the upstream or upwind side of your craft. Be aware of your responsibility to assist your partner (in the case of pairs). Leave your craft only if this improves your safety. If rescue is not close at hand and the water is dangerously cold or worse rapids follow, then swim in the appropriate direction for the nearest point of personal safety. The loss of the finest craft is not worth even the risk of personal safety. If swept into a rapid, then swim feet first on your back. Keep your head clear of the water for good visibility. Go after the crew. The craft can wait until the crew and you are safe.